Like our neighbors, we\'re from the westside, and together we\'re proud to support it. We get you in and out fast, and look good doing it. 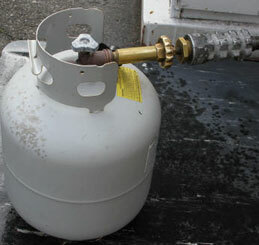 We have the propane and propane accessories that would make even Hank Hill envious. Need a new grill? We have it. Is your grill not working right? We can fix it. Need something for your grill? We probably have it. At Wardway, you get 20 lbs. of gas for $18.90. Tank exchage places get you for at least $20.00 for only 15 lbs. of gas. With over 30 years of experience, we're your propane experts. The Wardway sign always says something interesting.